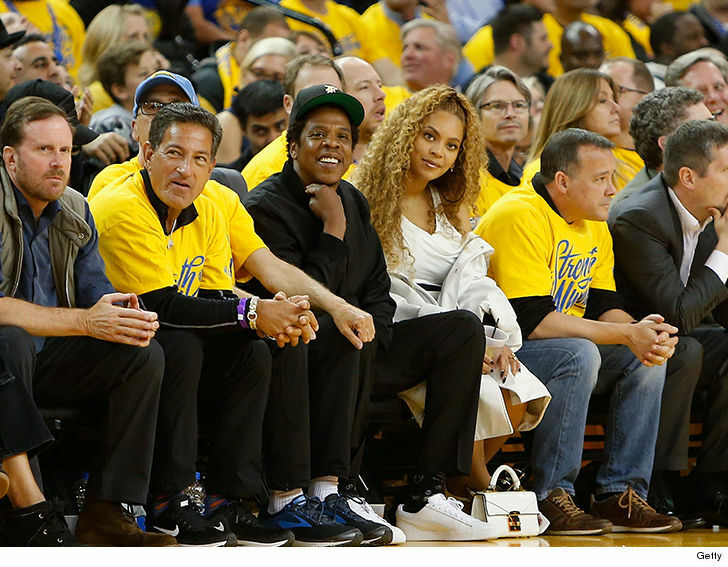 Jay-Z and Beyonce got super good seats — imagine that — as they watched the Golden State Warriors annihilate the New Orleans Pelicans. Bey and Jay were on the hardwood Saturday at the Western Conference Semifinals in Oakland, CA. The Warriors dominated the entire game to win the first in the 7 game series by a score of 123 – 101. BTW … Steph Curry didn’t play because of an injury but he’s expected back for game 2 on Tuesday. They left happy … because their team was victorious.